At the final round of the MCE Insurance British Superbike Championship held at the famous Kent Brands Hatch Circuit, Datatag and Kent Police, supported by the Kent and Medway Safety Camera Partnership undertook the last of this season’s bike scanning operations on behalf of the industry’s MASTER Security Scheme. During the weekend over a thousand machines were scanned in an operation aimed at not only deterring theft from the circuit but also to check if any machines were flagged as stolen on Datatag’s secure database. 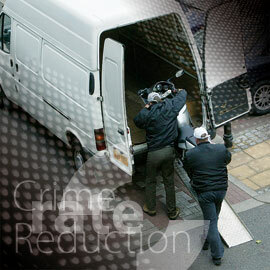 Something which surprised the team was the number of keys found which had been left in the ignition – 6. Clearly fans desperate to get to the action! 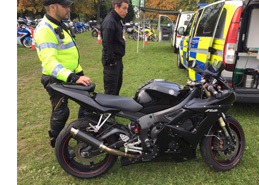 More serious was one bike which raised suspicions, a black Yamaha YZF-R6, a common sight at race meetings. This particular machine however, when scanned by the Team returned an RFID chip number which was showing as stolen on the Datatag database. On further inspection it was discovered that other parts were identified as being from the same stolen machine. The frame however, was legitimate, indicating that although purchased in good faith this machine had been built up using stolen parts – a common practice among bike thieves. Kent Police is continuing its investigations. This case highlights the benefit that the MASTER Scheme provides in ensuring a bikes true identity can be determined and that when buying second hand riders should always check chassis, engine and MASTER Scheme numbers.